Radiation therapy has been a foundation of cancer care for decades, but rapid innovations in device technology, cloud-based integration strategies, dosing schema, and combination regimens are transforming the radiation oncology landscape in new and notable ways. The growing array of technology options poses challenges and opportunities to cancer care centers as they work to determine which technologies best suit the needs of their patients while being economically sustainable under alternative payment models. Mary Bird Perkins-Our Lady of the Lake Cancer Center recently faced this quandary as the organization phased out an aging stereotactic radiosurgery (SRS) system and sought enhanced replacement technology. The Baton Rouge, Louisiana, cancer center, which treats more patients each year than any other facility in the state, took a broad view of the benefits a new SRS system would provide to the region, the organization, and its bottom line in order to realize a return on its investment. To this end, the team developed a long-range and comprehensive planning process to ensure that the new SRS system would reach its full potential as a brain tumor and central nervous system treatment option as well as a business asset. We believe that this process has enabled the new SRS system to create value to key constituencies. A multidisciplinary team with diverse perspectives evaluated the adoption of a new SRS system in order to ensure that the needs and concerns of all stakeholders were addressed from the very beginning of the process. Discussions with experts in neurosurgery; ears, nose, and throat; neurology; and radiation oncology made it clear that both patient and physician access to new technology were important priorities for care providers, as was ensuring that the cancer center had the support and technical know-how to expand the use of the technology in the future. A group of physicians and medical physicists spent time evaluating SRS systems at various vendor facilities and attending lectures delivered by other experts who were using new technologies at their own institutions. The team decided that Elekta's Gamma Knife Icon, a dedicated SRS system specifically designed for treating intracranial lesions, would best meet the cancer center's needs today and in the future. Yet the identification of Icon as the system of choice was just the beginning of wide-ranging discussions and planning within the cancer center. 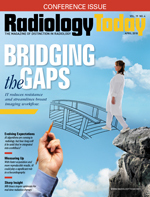 The organization's medical physics, facilities, and operational teams provided critical input on designing plans for housing the system, maximizing workflows, and minimizing the impact of the system on existing radiology assets and services. The team identified several potential operational workflow challenges that could possibly occur as a result of providers and stakeholders being located in different areas of the building and, in some cases, at an entirely different location from where the system would be housed. Addressing these challenges required the acquisition of software to allow various providers to perform treatment preparation work from other offices and clinics while at the same time creating a collaborative environment. This software solution went beyond simply addressing the needs of providers in different locations. It also serves as a hub through which providers can share information and collaborate with colleagues to improve patient care. In addition, it has improved patients' care experience by allowing patients throughout the cancer center's network to have imaging, treatment planning, and other preparations performed close to home. This reduces the number of trips they must make to Baton Rouge for treatment, reducing travel-related time, stress, and financial costs. This is just one example of how approaching implementation as an enterprise resource within the organization's network of facilities helped ensure that patients and providers outside of the cancer center's immediate service area could effectively access this vital technology. Working with the cancer center's IT leaders was also essential for enabling seamless integration of the system into existing IT infrastructure and to meet all data protection standards and protocols. Data protection and security is an enterprisewide focus for the organization, and it is an important part of evaluating and selecting any new technology. In the evolving medical device and health care landscapes, investments in new technology must consider both today's needs and tomorrow's challenges and opportunities. To this end, analyzing the current and future demographic trends of patients within the cancer center's network was a critical component of the evaluation process. This analysis enabled us to develop informative financial and utilization models; for example, it identified a shift from using whole-brain radiation therapy (WBRT) to treating individual brain metastases with SRS. This trend was a key driver in selecting a system specifically designed for treating intracranial lesions. The new SRS system makes it possible to treat multiple brain lesions much more efficiently, typically in just a single treatment session, compared with two to three weeks with WBRT. Additionally, patients who receive SRS for individual metastatic brain lesions show improved cognition compared with those who receive WBRT. This has important treatment implications because long breaks from chemotherapy are not required, allowing patients to receive brain treatment while continuing their systemic therapy with minimal interruption. A growing body of prospective clinical trial data also supported the selection of the system for treating brain cancers and other central nervous system disorders. Improving the care and outcomes of patients is at the heart of everything we do, and making the treatment process simple and accessible to as many patients as possible was an essential part of the strategic plan for implementing a new SRS system. This included taking on the patient perspective in designing the treatment suite for optimum patient comfort. The cancer center recently completed a renovation and expansion of its facility and built a new vault to house its Elekta Versa HD linear accelerator system, which included soothing, adjustable lighting, art, and satellite radio musical selections. Based on positive patient feedback related to this treatment environment, the Icon space was similarly designed. Finally, bringing new technology to a region can only provide benefit to patients if they and their care providers know that it is available. The cancer center developed and implemented novel marketing and patient outreach strategies around the SRS system to raise awareness of the technology among patients who could benefit from it and referring physicians, positioning the cancer center at the forefront of innovative cancer care. A disruptive marketing campaign, Conquer Differently (conquerdifferently.org), included striking images of painted faces, highlighting the individuality of each patient and underscoring the cancer center's personalized approach to treatment. The concept compared the approach artists use to create masterpieces with the ways in which cancer center providers demonstrate artistry in medicine through highly customized treatment plans for patients. Conquer Differently was developed as a primarily digital campaign in order to provide more targeted messaging strategies for consumers and physicians while offering the most effective and efficient use of the cancer center's marketing investment. A special microsite was established and served as the hub of the campaign, and all communications were designed to drive people directly to the microsite. The campaign is further supplemented with local and regional public relations opportunities and some traditional advertising. Metrics provided through digital marketing will inform future marketing strategies. The comprehensive approach described here provided a number of benefits to patients, physicians, and the cancer center's bottom line. The increased confidence in treating complex brain lesions that comes with the advanced technology and dedicated intracranial design is enabling the cancer center to treat more patients with multiple brain metastases, which has increased patient volumes. The increased workflow efficiencies have helped reduce treatment wait times, enhance staff productivity, and allow care providers to spend more time with patients and less time coordinating care. Physicians are excited that the system gives them new ways to treat complex cases, including using multiple fractions over a few treatment sessions to treat larger tumors, reducing treatment times compared with WBRT, and avoiding the toxicities and cognitive declines that are associated with WBRT. Patients have benefitted from having SRS available as an alternative to invasive brain surgery, when appropriate, and have achieved successful clinical outcomes following treatment, even when other therapeutic approaches have failed. Patients also appreciate that SRS allows them to return to work and daily activities immediately following treatment with much shorter recovery times compared with invasive approaches and WBRT. With the system fully implemented, the cancer center is continuing to evaluate new ways in which it can be leveraged to treat additional indications and further expand the patient base and clinical offerings. Through a comprehensive approach to adopting new medical technology, the investment is creating financial and clinical value and, most importantly, advancing the organization's goal of providing optimum and individualized care to every patient we treat. — Todd Stevens is president and CEO of Mary Bird Perkins Cancer Center in Louisiana. — Jonas Fontenot, PhD, is chief operating officer and chief of physics of Mary Bird Perkins Cancer Center in Louisiana.